It was almost exactly one year ago during its annual earnings briefing that Activision Blizzard declared Skylanders its “next $1 billion franchise.” Activision already held the billion-dollar crown in gaming. Guitar Hero 3 was the first individual game to hit that milestone back in 2007, a feat later replicated by the company’s booming Call of Duty series with Call of Duty: Modern Warfare 2. The Call of Duty series has maintained its earning power in the market, but with the plastic instrument bubble burst, the Guitar Hero series on ice, and the World of Warcraft revenue machine slowing down, Activision has been desperate for a new winner. One year later, Skylanders hit its goal. It still hasn’t matched the single game record set by Guitar Hero 3 or recent Call of Duty entries, but Activision Blizzard announced on Monday morning that the Skylanders franchise has hit $1 billion in total revenue. That includes sales of 2011’s Skylanders: Spyro’s Adventure and 2012’s Skylanders Giants, a number of mobile apps and games, and in excess of 100 million Skylanders action figures. Hirshberg is also correct that Skylanders has changed the way kids play, and so Skylanders will no longer remain an unchallenged force in the market. Disney Infinity borrows Skylanders model of figures and games wholesale. 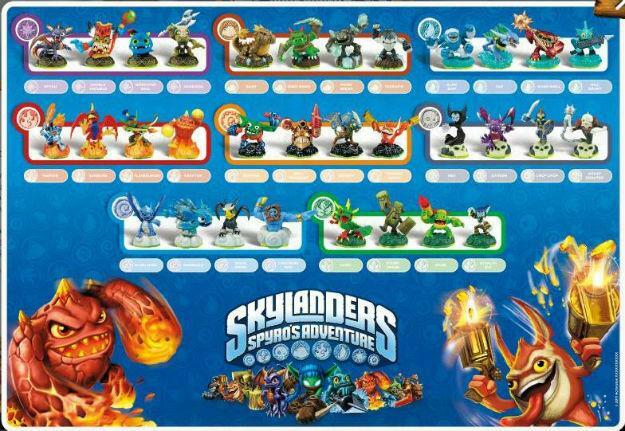 Can Skylanders keep earning billions as its formulas is copied by others? Activision Blizzard would do well to remember the past. Guitar Hero, another series whose wealth rested in the sale of physical add-ons, also had a market all to itself. When competitors like Rock Band entered the market, Activision escalated production so rapidly that it literally destroyed the instrument-based game market.